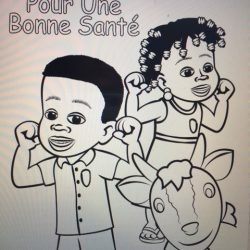 Kofi and Ama feel sick and follow several steps to make themselves well so they can play. 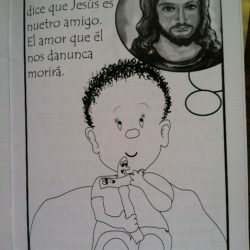 As the children read and colour this book they will learn what they need to do to stay healthy. English text. Designed for Africa. 12 pages. Black & white. 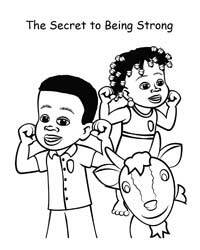 Download “The Secret to Being Strong” song by international jazz musician, Drew Davidsen, to further inspire the children! A grant was awarded for the design and original printing of this book in 2012. It is “tried and true” after two seasons of distribution in Ghana. 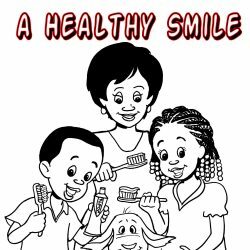 Ghanaian teachers have used this book to teach hygiene skills. 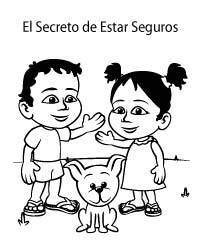 They will often feature one page of the book per day, to emphasize the importance of each hygiene practice.